Bridgepoint is bidding $1 billion for Swedish gaming firm Cherry. The buyout group’s scope to pay a big premium and still get a good deal is due to public markets’ aversion to “sin stocks”. Ethical investing is supposed to improve behaviour, not private equity coffers. 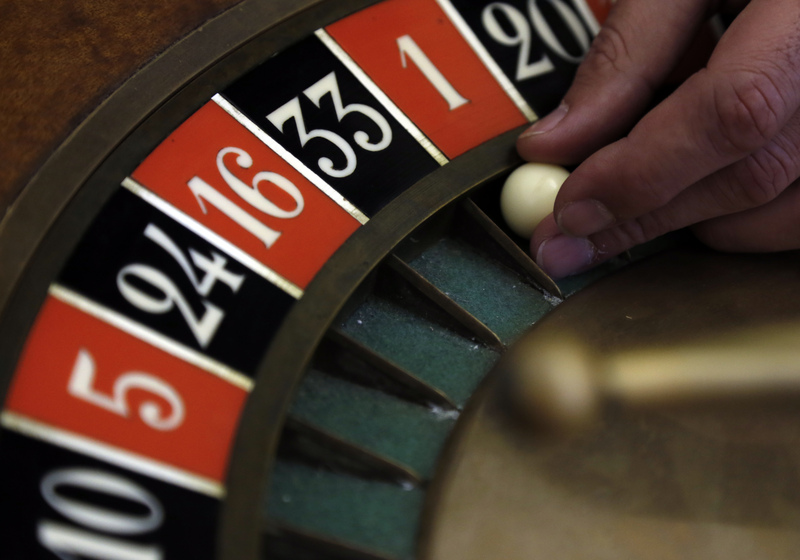 A young croupier trainee turns the roulette at a gaming table at the Cerus Casino Academy in Marseille November 6, 2013. A consortium of investors led by Bridgepoint on Dec. 18 offered to acquire Swedish gaming group Cherry for 9.2 billion Swedish crowns ($1 billion). The offer values Cherry shares at 87 crowns each, a 20 percent premium to their value on Dec.17. The consortium also comprises existing Cherry shareholders including Bjorn Grene and Orpen Kisacikoglu, and Klein Group, owned by Chairman Morten Klein. Shareholders owning 59.1 percent of Cherry shares are either in the consortium or have already agreed to accept the offer. Cherry shares rose around 18 percent to 85.9 Swedish crowns as of 1445 GMT on Dec. 18.